Prime Time is a video collage of violent imagery taken from American commercial network television. 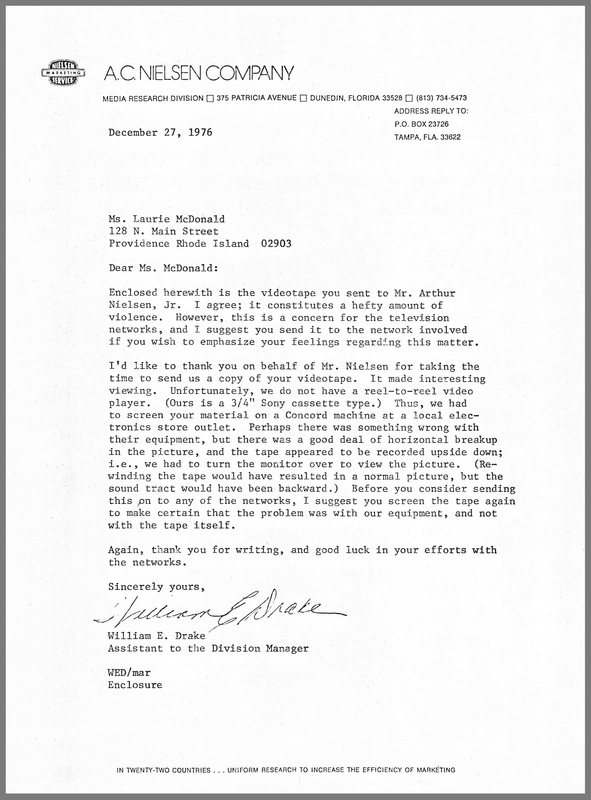 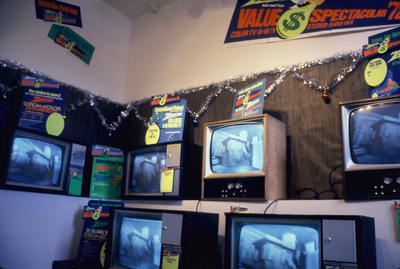 The work features rapid-fire editing techniques (i.e., for analog 3/4" video technology) often used by network producers to create a sense of action or tension, and violence from all genres of television programming -- cartoons, news broadcasts, commercials, made-for-TV movies -- is juxtaposed to create humorous effects and absurd situations. 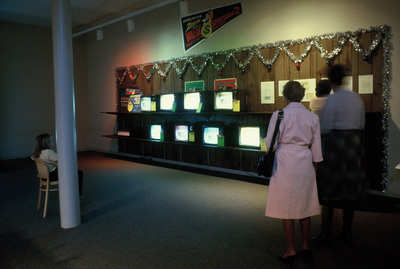 Prime Time was inspired by the AC Nielsen Company, best known for their titular Nielsen ratings, which is a system devised to measure audiences for television, radio, and newspaper in their respective markets. 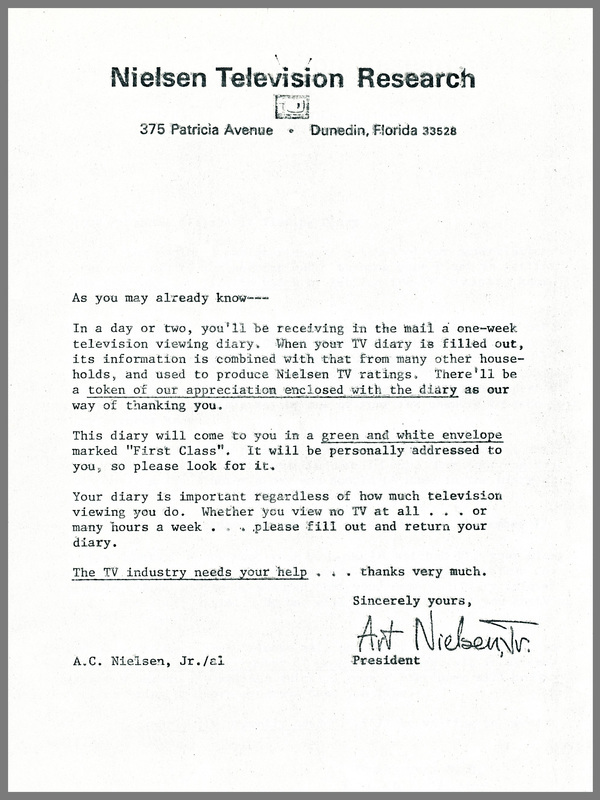 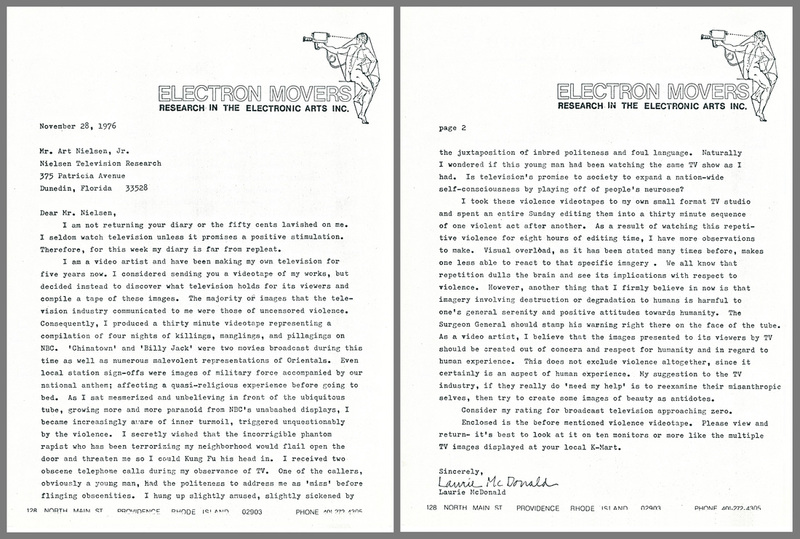 The Nielsen Company sent Laurie a diary in which to record her television viewing selections and a packet with two quarters (about $2 in today's money) as incentive to complete the diary and mail it back to the company. After about age ten, Laurie had not been much of a television watcher, so she saw this as an opportunity to familiarize herself with the current television landscape. What she saw was so much violence that it inspire Prime Time. 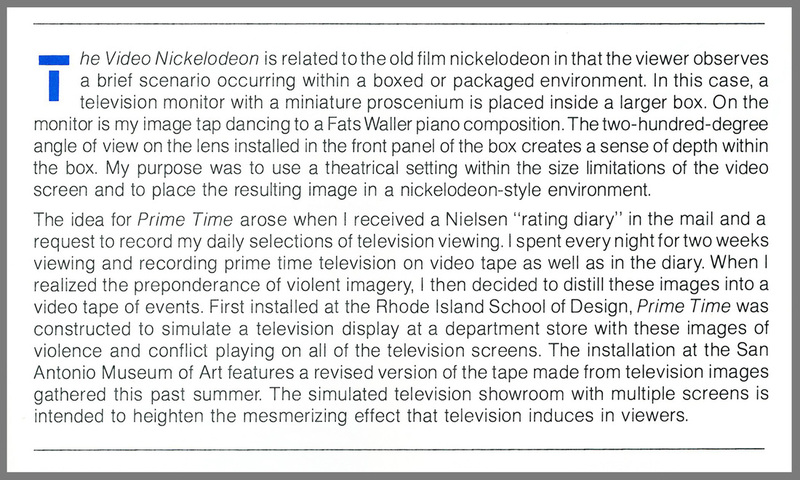 As in her later work Surveillance, Prime Time makes use of the familiar ​to explicate the unexpected, a technique she calls "visual decoy". 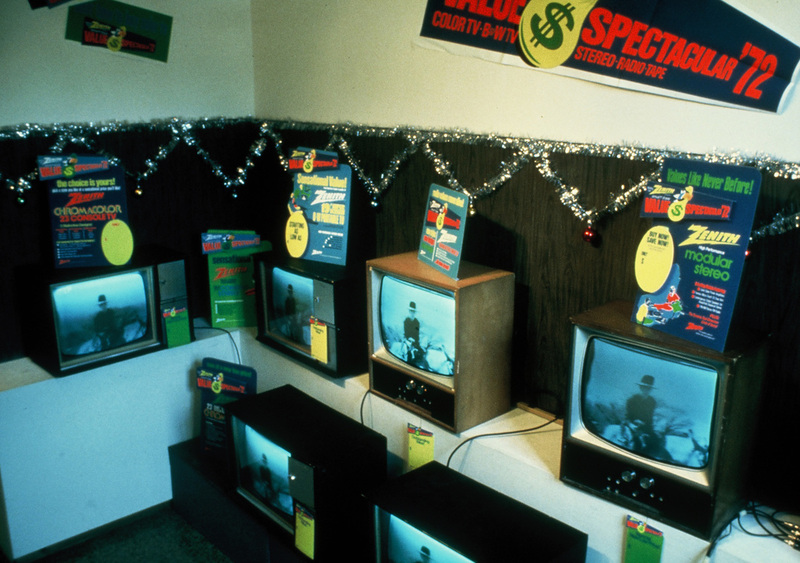 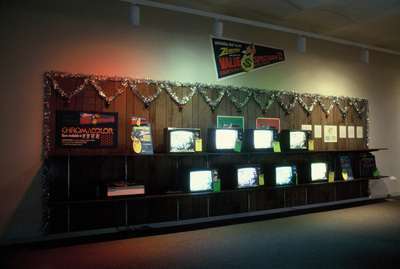 Although Prime Time the installation resembles a TV display in an electronics showroom, the viewer encounters content that is out of context and completely unanticipated. 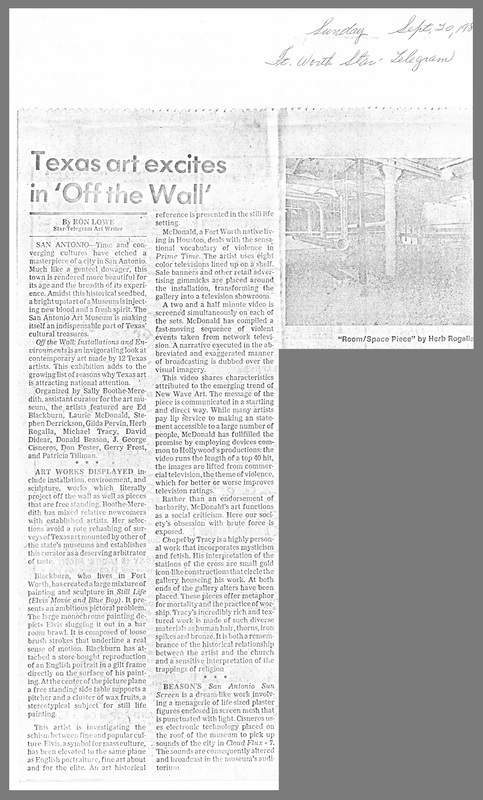 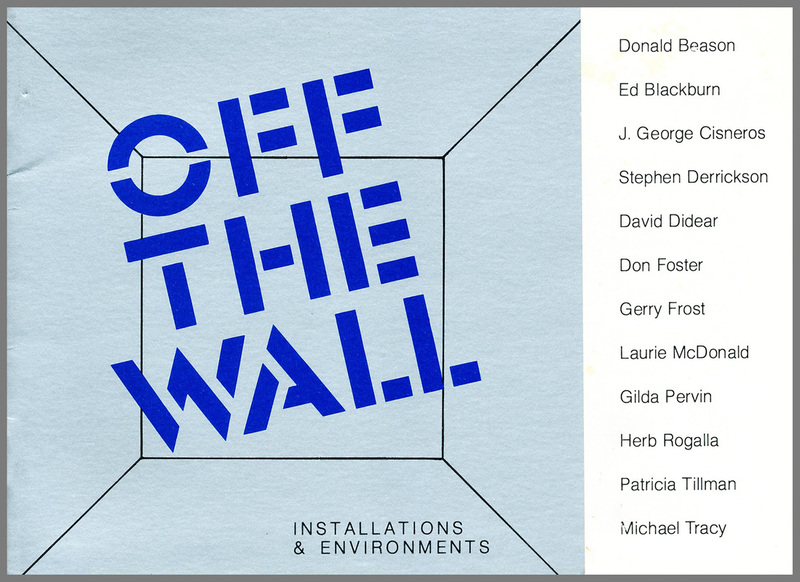 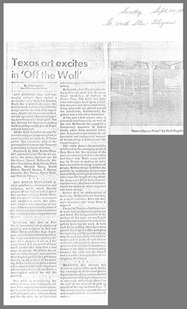 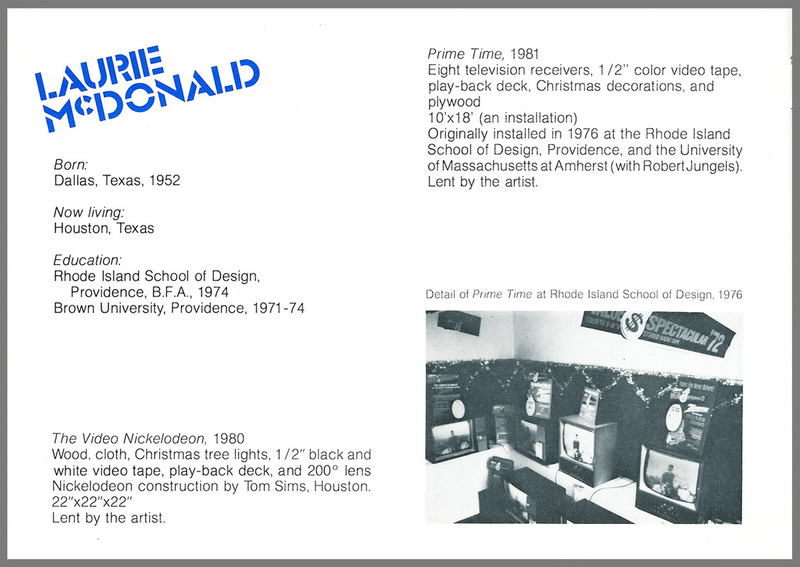 The Rhode Island School of Design, 1977; the University of Massachusetts at Amherst, 1977.
re-imagined and included in "Off the Wall", the San Antonio Museum of Art, San Antonio, Texas, 1981.